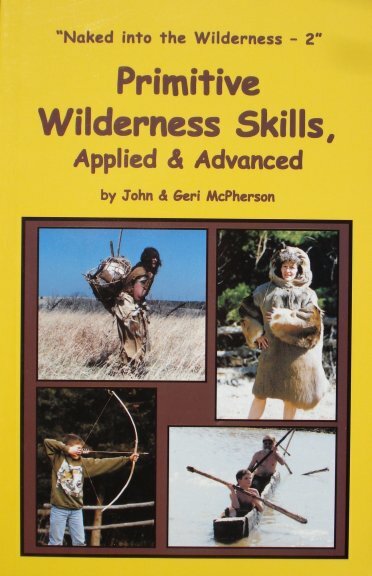 This book is a follow-up to the first book (see above), Primitive Wilderness Living & Survival Skills. It is just what the title suggests, primitive skills and "how-to" apply them. An instructional book that goes beyond the first book with some firsts, some only's and lots of common sense. Hair-on brain tanning, making a dugout canoe, flintknapping, lighting, bone needles, ax hafting, quickie bows, water containers, making moccasins, and much, much more.